Talk about completing an arc. 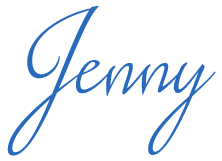 Everything I had been questioning, everything I needed resolved, is taken care of. It wasn’t handed to me in a neat package, however, so don’t think this is one of THOSE stories. The reader has to work for answers and closure. This isn’t an easy ride here, not at all. 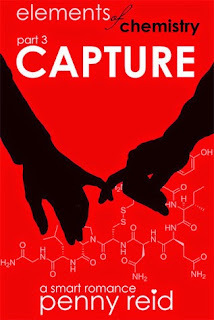 I don’t want to say too much about Capture; I think going through the process of discovery is a strong component to this story. It isn’t just about the outcome, the journey and the bumps are important to experience along with the characters. The “Will she/Won’t she” and “Is he/isn’t he” of it all adds an enjoyable level of angst. 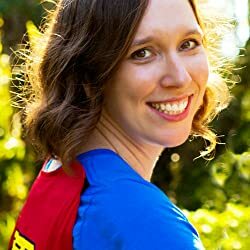 Throughout the three parts of this story we see Kaitlyn progress from a girl who hides in cabinets to one who is “officially adulting.” This story isn’t just a romance between Kaitlyn and Martin, but also a story of growth, passion, confidence, and discovery. Kaitlyn finally develops a healthy relationship with herself, with her true self, and the outcome is noteworthy and inspiring. I highly recommend all three parts of this story. I have already enjoyed them for a second time and I’m still not ready to walk away from Kaitlyn and Martin. The bundle for this series will release June 1 if you’d prefer to have them all in one place. 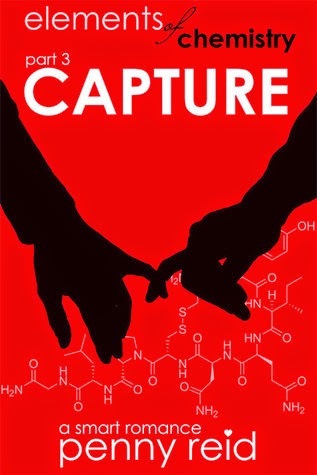 Elements of Chemistry: CAPTURE is the third part in a three part series; it is 70k words. Part 1 (ATTRACTION) released April 9, 2015. Part 2 (HEAT) released April 30, 2015. Part 3 (CAPTURE) released May 16, 2015.